There is a common misconception that ticks in Georgia are only active in warmer months. But contrary to popular beliefs, ticks can remain active year-round and throughout the winter months. The Black-legged tick, in particular, survives and feeds during colder months in Georgia. This species of tick in Georgia carries Lyme disease— one of the most harmful transmitted by the insect. Moreover, a new species of tick named the Asian long-horned tick, has made its way to the US and has migrated into the southern states. This species of tick carries many deadly diseases that can affect humans, pets, and live stock. 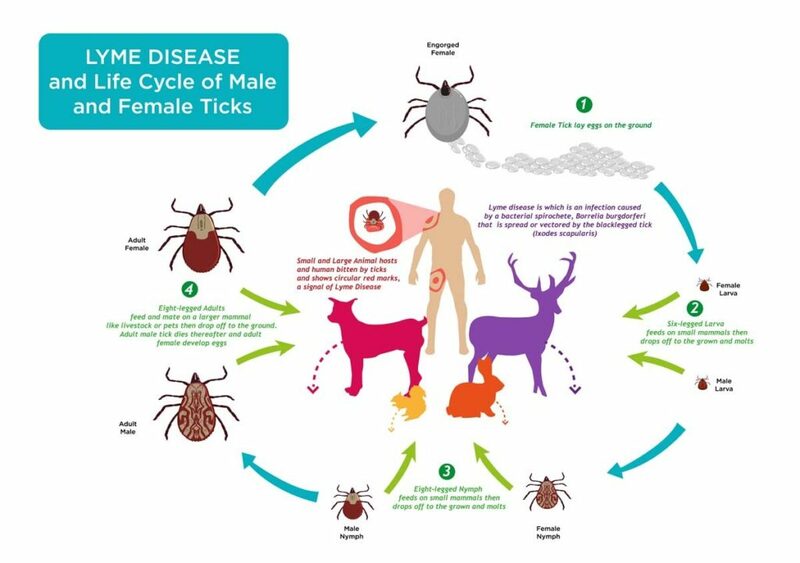 A female Asian Long-horned tick can reproduce and lay eggs without mating, which means Asian Long-horned ticks can multiple at very rapid rates compared to other species of ticks. Are Ticks in Georgia Active in the Winter? In addition, awareness of tick bites and their diseases for people living in Georgia are just as important in the colder winter months. Whenever you and your loved ones venture out into any wooded areas, parks, trails, campgrounds, or yards laden with trees, make sure to use a chemical repellent with DEET, Permethrin or Picaridin. DEET is the most effective and consistent deterrent of ticks and will prevent ticks from attaching to your body. Ticks, similar to fleas, generally jump aboard at your ankles. Wearing pants and socks will help to keep your legs from attracting ticks. Tuck your pants into your socks for an extra barrier while hiking, playing, or just relaxing in nature. Ticks love to bury in our scalps for their feeding. Our hair makes for a warm place to hide, which ticks prefer. Wear a hat when out in the woods, park, or other nature areas. Ticks love attaching to animals. Their coats of hair make a perfect feeding ground for all species of ticks. Make sure your pet has the best tick prevention medicine routinely scheduled for their protection. Whether it be a tick collar, pill, or liquid form, this is the first and best prevention from tick bites. 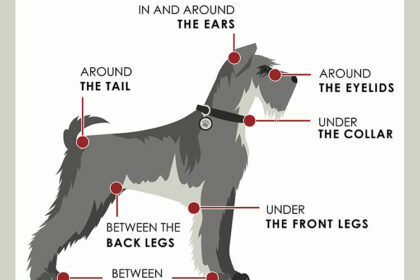 Where Should I Check My Pet for Ticks? 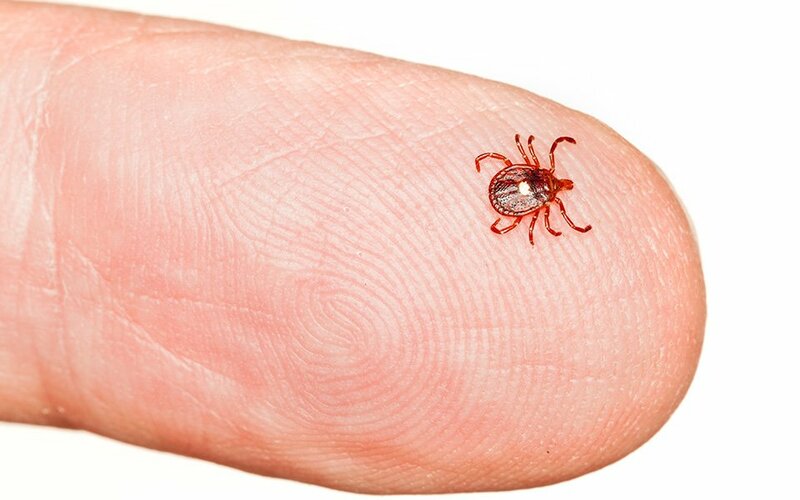 The CDC states that ticks on your pet may be very difficult to locate and remove. 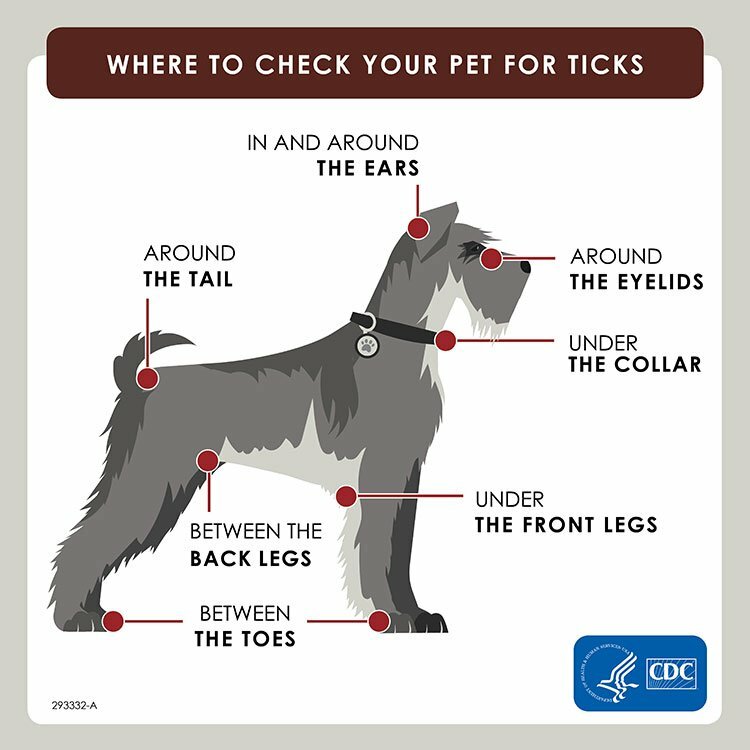 See the below diagram from the CDC’s website to help inspect and protect your pet from ticks in Georgia. Any Pest, Inc. has been providing superior pest control service to the metro-Atlanta area and beyond, since opening our doors in 1989. Our main office is located in Kennesaw, Georgia. 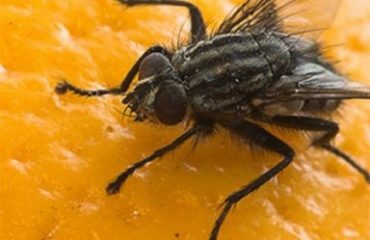 Our mission is always to provide every client with quality pest control services while displaying our dedication to ethics, excellence, and customer care. At Any Pest, Inc., we adhere to the highest standards and stay up-to-date on the latest industry technology and information. We offer free pest control consultations, prompt service and customize all plans to meet your specific needs. 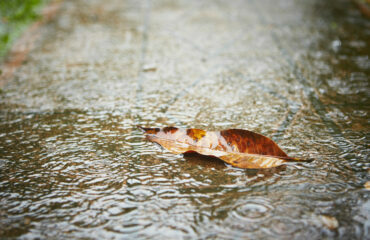 For a more environmentally-friendly approach, inquire about our botanical and Eco-friendly pest control products. 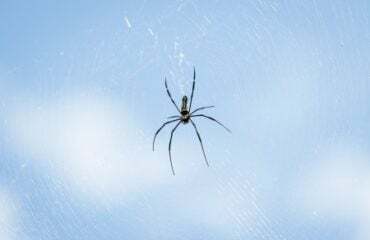 We have affordable pest control plans for the protection of your home and family and offer referral discounts for customers with existing or recurring service agreements – call us today at (678) 631-8851 for a free consultation!